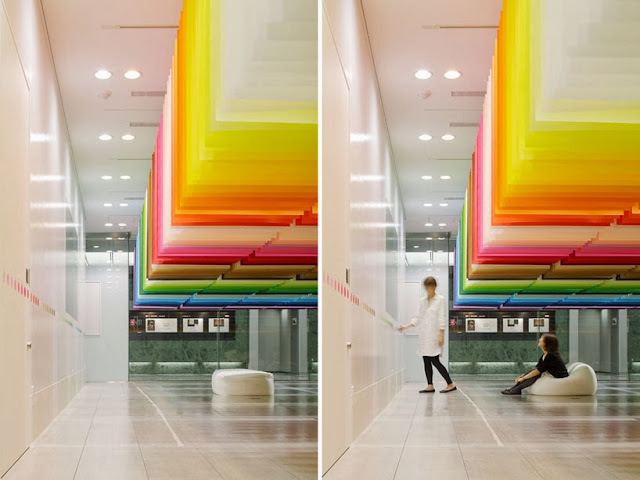 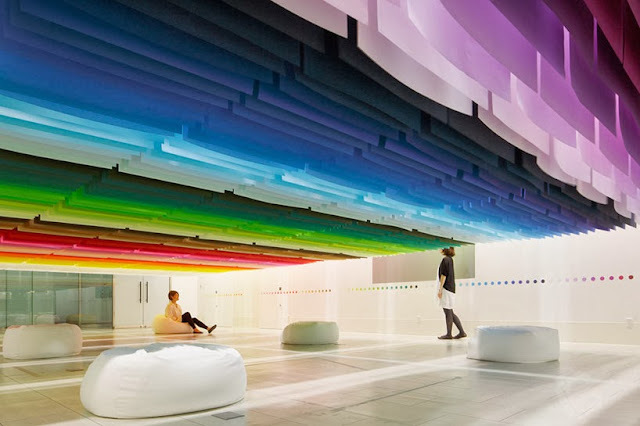 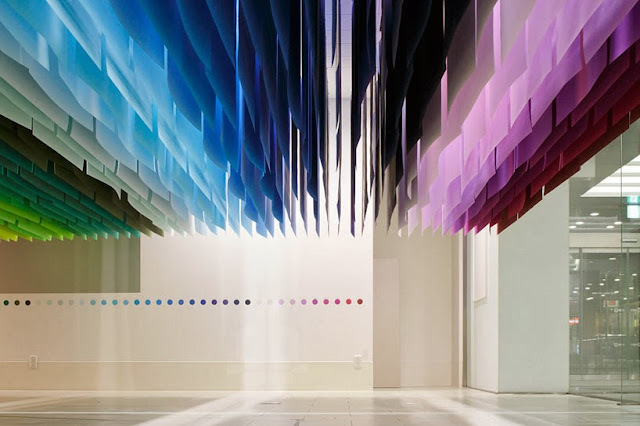 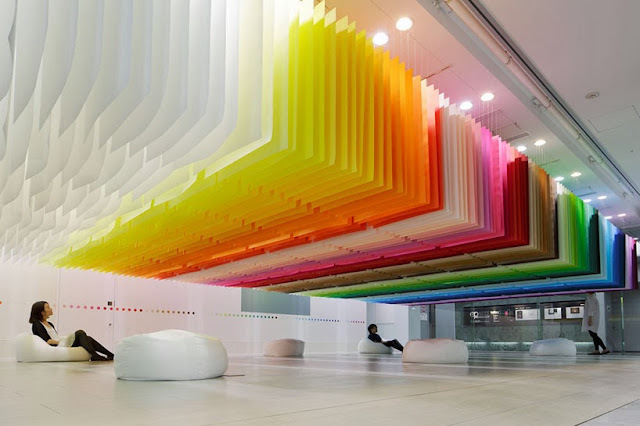 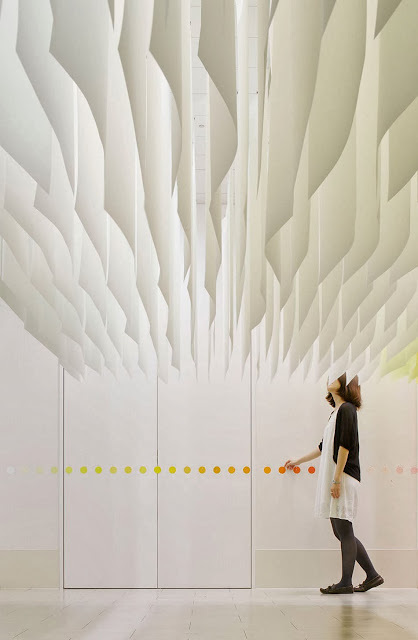 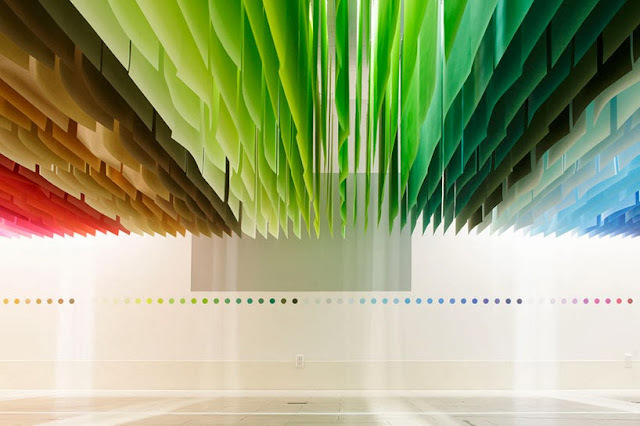 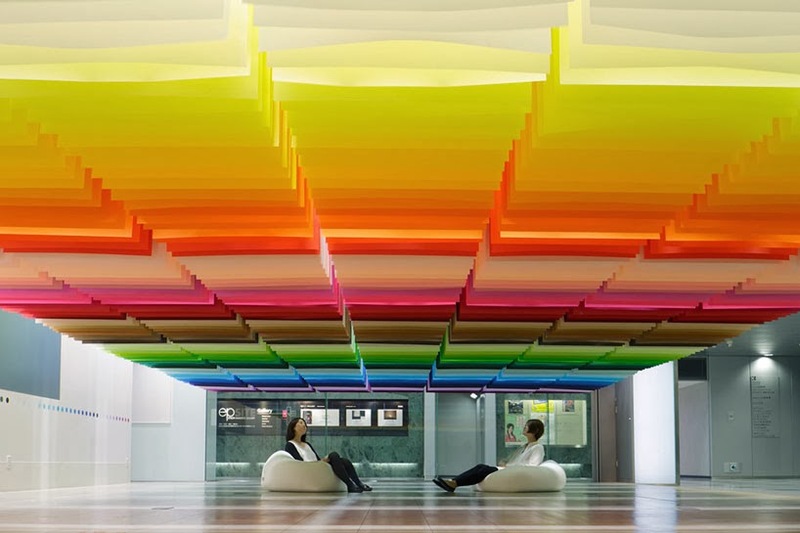 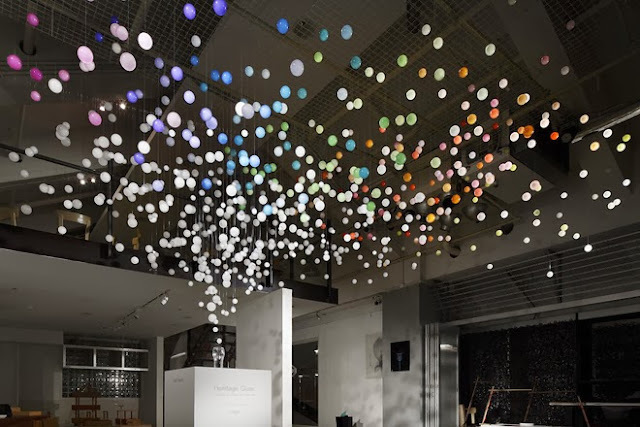 conceived by emmanuelle moureaux for the shinjuki creators festa 2013, ’100 colors’–whose title indicates the number of hues the designer has integrated into the work–features more than 840 sheets of paper that are suspended from the ceiling, creating a volume of rainbow colors that float in the air. 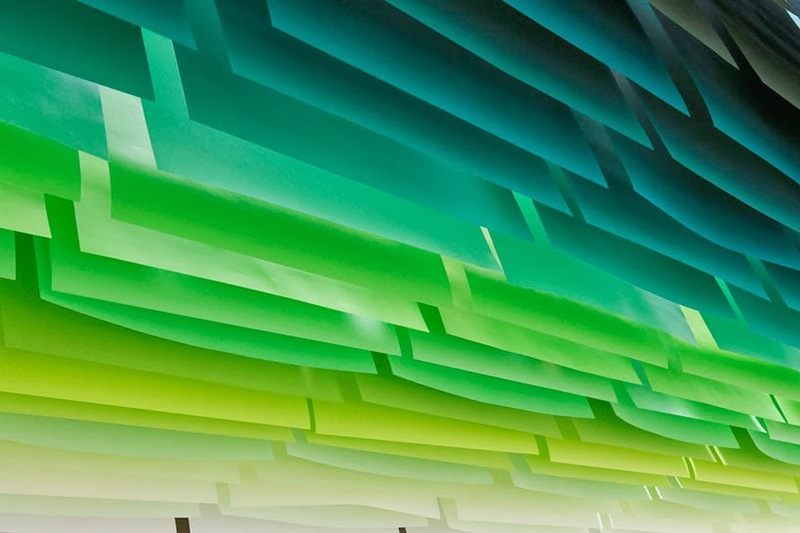 Coca-Cola has updated its classic icon, the Heritage Glass, the modern interpretation of a Coca-Cola glass, designed by innovative designer Thomas Meyerhoffer. 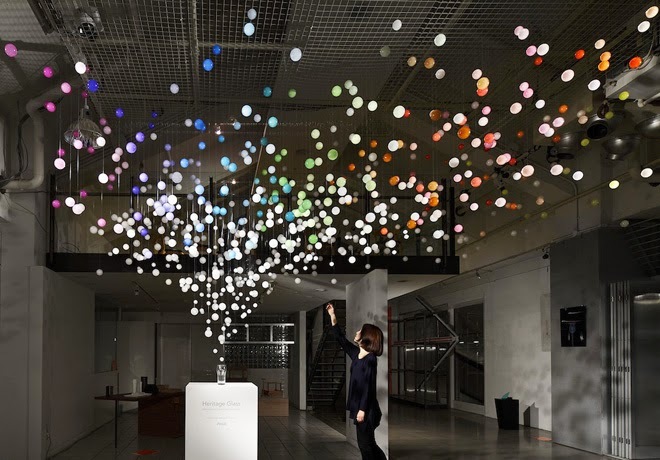 After the new release at Colette, the famous boutique in Paris, Coca-Cola has presented its new icon in Tokyo, together with an art installation by architect/designerEmmanuelle Moureaux. The installation ‘Sparkling Bubbles‘ uses 800 acrylic transparent spheres bringing the experience of the bubbles and sparkles of freshly poured Coca-cola. 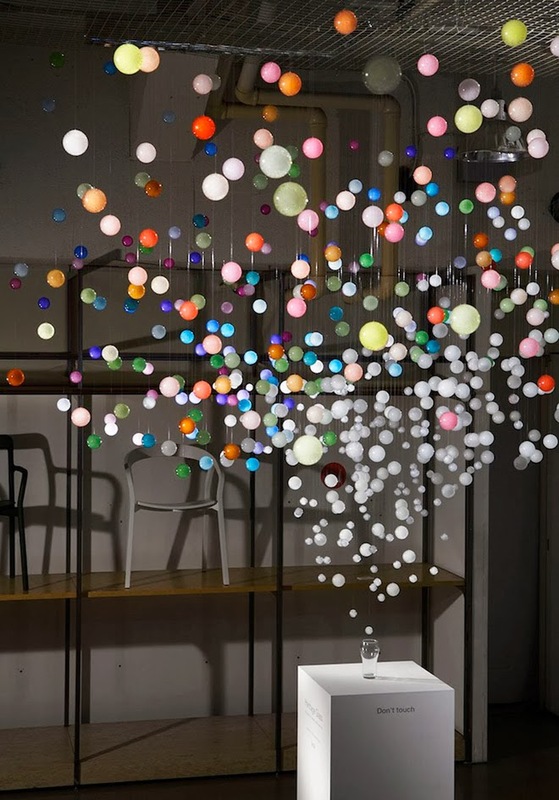 Small air bubbles are locked inside in each sphere, which appears as if the bubbles are floating in the air. 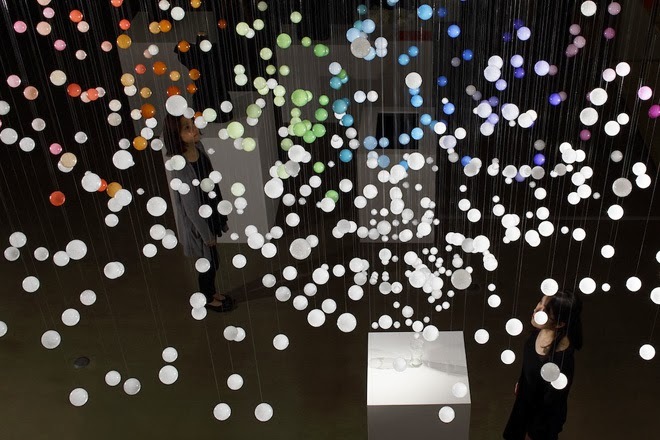 These spheres are dyed in delicate shades of 34 different colors chosen specially for this installation.